After sharing the spoils with Parma at Stadio Ennio Tardini at the weekend, Torino will be looking to return to winning ways in the Serie A when they take on Cagliari on home soil. Il Toro are eager to represent Italy in European competitions next season and we predict that they are going to adopt an attack-minded approach in Sunday’s football game. Sassuolo were on the verge of beating Lazio at Stadio Olimpico at the weekend, but the Biancocelesti eventually scored the equalizer in the dying minutes of the match. The Neroverdi have little to play for in the season finale, but seeing that they are nine points clear of the relegation zone, they can’t afford any complacency in upcoming matches. When do we release Serie A Predictions? Eager to know when we publish our football tips that cover the Serie A? Just like with any other league, you can expect our Serie A predictions to be published on Monday at 13:00 London time and Midweek day after the last game has been played, somewhere around 13:00 London time. The mission that we go by has remained the same and to this day, we give it our best in order to deliver nonpareil football predictions in the shortest time possible. While doing so, we have always tried to prioritise quality over quantity. Serie A might not be on top of everyone’s list of football league to watch, but it surely is an important one that not true punter should miss. Looking for interesting games that will be played today? Visit our football predictions of today page! Serie A is a professional football league organized and overseen by the Italian Football Federation. It was founded in 1898 and has been played in the current format since 1929. For most of its history, it consisted of 16 or 18 clubs. It was in 2004 that number of clubs competing in the top tier of Italian football has been changed to 20 and has remained as such to this day. The elite Italian league is a part of the so-called group of big five European leagues but it has had its ups and downs in the past. The Golden era of the Serie A came in the late 2000’s with Inter Milan dominating Europe under Jose Mourinho’s leadership and since then, it seems as though the competition has failed to keep the pace with its competitor leagues. The lack of investments has seen the Italian clubs go through a lengthy drought in international competitions. As previously stated, the last time that an Italian club lifted the prestigious UEFA Champions League trophy was in 2010 when Inter Milan defeated Bayern Munich in Madrid. Things have slightly improved over the past couple of years with increased influx of foreign money which has seen both clubs from Milan attempting to challenge Juventus’ domestic dominance. The Old Lady, on the other side, has been unsuccessful in its attempts to reach the European glory, despite coming so close to lifting the coveted trophy in the 2016/17 campaign. Being that it is still widely considered as one of the biggest and most respected leagues in the world, Serie A has 4 guaranteed spots for the Champions League and 2 for the Europa League. It is worth noting that the sixth team has to go through qualification rounds in order to secure a spot in the group stage. Italian football is known for its defensive-oriented style where attacking at all cost is not a priority. The Italian clubs religiously believe in the saying that Football is a game in which you only need to score a goal more than your opponent. As a result of this philosophy, a large number of goals is relatively a rare occurrence. We have highlighted common Serie A predictions which have been very popular in the last couple of years. Juventus have been the biggest club through the history of the competition and boasts a record number of 34 titles, 7 of which were consecutive and came in the previous years. Bianconeri have been the standard betting choice for years now thanks to their home-turf dominance and on-the-road resilience. Betting on Under goals during the season, with the exception of big city derbies, could be the safest betting tip when it comes to the Serie A. Upsets are expected and can usually be seen when teams have a hectic schedule in the international competitions. Those would be some of the things to look for when it comes to Serie A predictions, and our team will always provide you with the best and up to date football tips. We have always sought out to deliver the most authentic and well-defined information in a way that suits our readers. 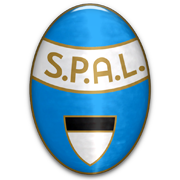 Over the years, we have gathered an experienced team of writers, analysts, and true fans of Italian football. We strive to produce the best betting tips which are always double-checked and also wagered by ourselves. Local insiders have proven to be a valuable asset to us, and have been of tremendous help. Check out our Serie A Preview for the 2nd half of the 2018/2019 season!